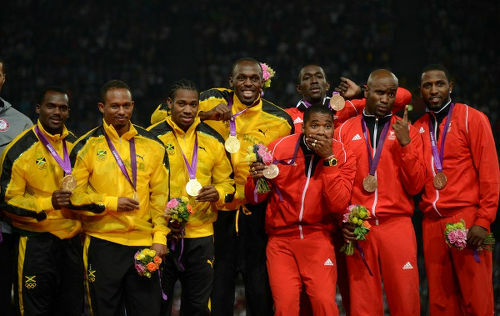 The Trinidad and Tobago quartet are already due to receive silver, after the US team was disqualified due to a failed drug test by Tyson Gay. 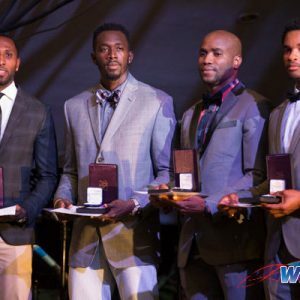 The Trinidad and Tobago Olympic Committee (TTOC) has not at this time received any official communication from the International Olympic Committee (IOC) in respect of the Trinidad and Tobago Beijing 2008 Olympic Games Men’s 4 x 100m Relay Team. 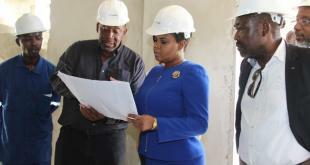 It is therefore premature of the TTOC to speculate on any upgrading of the Trinidad and Tobago Beijing 2008 Olympic Games Men’s 4 x 100m Relay Team medals from Silver to Gold. The IOC has its protocols and procedures in respect of medal upgrades. As such, we have taken note of the IOC Disciplinary Commission Decision and official press release. The TTOC will fully cooperate with the IOC and look forward to a quick resolution. 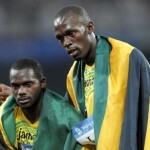 It is always a disappointing and an unfortunate situation when an athlete from any country is embroiled in such a situation and, more so a Caribbean athlete. 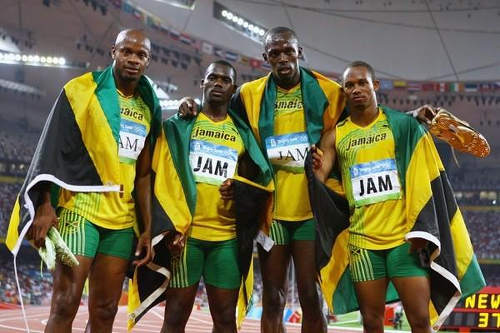 Photo: Jamaica 4×100 Beijing Olympic Games team (from left) Asafa Powell, Nesta Carter, Usain Bolt and Michael Frater. However, the TTOC, like all in the Olympic movement must adhere to the principles and standards pursuant to the Olympic Charter and, in particular, Rule 59.2.1 thereof, and pursuant to the IOC Anti-Doping Rules applicable to the Games of the XXIX Olympiad in Beijing in 2008 (the “Rules”) and, in particular but without limitation, Articles 2, 5.1, 6.5, 7, 8, 9 and 10 thereof. I didn’t understand this. The only way this will make sense is if they tested the TT athletes and have to check to see whether there were all clean at this late stage and that does not make sense.